Chanterelles from my sister-in-law's foraging. Some sweet red peppers from our produce box. A little white eggplant gifted to us from someone else's produce box. Onions, garlic from the pantry. And lots of olive oil and salt. Roasted at 400 for 45 minutes. Autumnal ambrosia. Our family has just started a big experiment in making do. Yancey has moved to Seattle for the year to do his paramedic training. We will see him in snatches a few times a month, mostly while he is sleeping. All the lists have been made, goodbyes said, and there's nothing to do but to do it. I've mostly been very upbeat about the whole thing and I really do consider this an adventure where all four of us will learn more about one another. But I read this poem at our little going-away party for Yancey. It's good to be sad, good to be missing each other. And good to tell you about it here. their soft scenery smelling of you? now bored and cramped in the cupboard. will lie by the door all year. your jeans green on the fringes. in this bittersweet (God, I will miss you!) goodbye. We just got home from our annual Relax-a-thon with my in-laws in Palm Springs. We had a precious time with them, enjoying being WARM, email-free, and having 3 generations alive and healthy at the same time. I ate mostly cheese and crackers with some Bloody Marys and margaritas thrown in. When we got home and opened the front door, the cold house had that uninhabited smell, and of course, the fridge was empty. Grocery shopping today, all the superfoods looked the best--yams, kale, yogurt, nuts. my body and appetite kicking into post-vacation mode. In a classic Sarah move, I made these yams while the kids cooked up their default Top Ramen. Jade, My best friend in high school, used to make fun of me for this tendency even then--coming home starving and delaying my meal for an hour so I could make what I was craving. No handful of potato chips for me. It's an illness. I've felt like a sponge this past month, noticing things, being quiet, feeling less of an need to spread my opinions (don't worry--they're still there!) and more of a need to honor who or what is in front of me. I've been reading a lot about the effect of technology on our relationships. I'm becoming convinced that if we risk in relationship by calling (instead of texting) or dropping by (instead of emailing to schedule something 12 weeks in advance), we'll be a lot happier, we'll live longer, and we'll live into the mystery of mutual dependence. It's crazy how our ancestors spent so many years trying to acquire the miracle of hearing one another's voices across the distance and how we're forgetting how to use our voices. Forgetting how to gently ramp-in to a conversation (How are you? How's your sprained ankle? I'm calling to ask for a favor) and then to exit (Nice hearing your voice, I have to get going now). All of that is a pain, yes, but it's in the messiness that the good stuff grows. I'm a big fan of texting and emailing to schedule things, but if I happen to call you instead, it's not an emergency. I just don't want to lose my voice. And it's that in-the-moment-ness that brings me back to the kitchen again and again. I can't phone it in. It's about putting my apron on, emptying that damn dishwasher AGAIN, wiping off the cutting board, and taking those minutes just to do one thing--prepare a meal. Three cheers for uni-tasking. I've joined the hemp seed frenzy. I find them a delicious, nutty addition to lots of things. These yams are subject to so much variation! And so much more interesting than the sweet things we tend to do to yams. They don't need more sweetness. Poke yams with a fork all over, rub with olive oil, and roast at 350 until just done. 40-60 minutes, depending on how big they are. Let cool. Slice in half, spooning out flesh into a bowl, taking care to keep the skins intact. Add all other ingredients except for hemp seeds and extra herbs, mashing with a fork or potato masher until combined and creamy. I like to keep some chunks in mine, but you can mash a lot or a little. Taste, adding more of anything to your liking. Spoon mixture back into skins, top with a little more feta, and bake until warmed through, about 20 minutes. Broil at the last minute. Take out, top with hemp seeds and herbs. We are finally feeling summer. After last week's deluge, that seemed unlikely, but we're planning to enjoy the 82 degree heat wave today by meeting Megan and her girls at the pool. We have to stay cool somehow. 82 is Death Valley around here! Tostadas are a common meal around here. The crunchy, flat shells are perfect vehicles for all sorts of things, they never go stale in the pantry, and little hands don't have to roll anything up. Per usual, I set all the toppings in the middle of the table and let everyone do their thing. I also served warmed refried beans (though cold would be just fine) and grated white cheddar with these, but you don't need that. Presto. A vegan no-cook meal that leaves more time for being outside. Thinly slice 1/4 head of green cabbage and several large washed, ribbed Swiss chard leaves. Toss them with very thinly sliced red onion, a glug of olive oil, coarse salt, a dash of white wine vinegar, and some crushed red pepper, if you like. 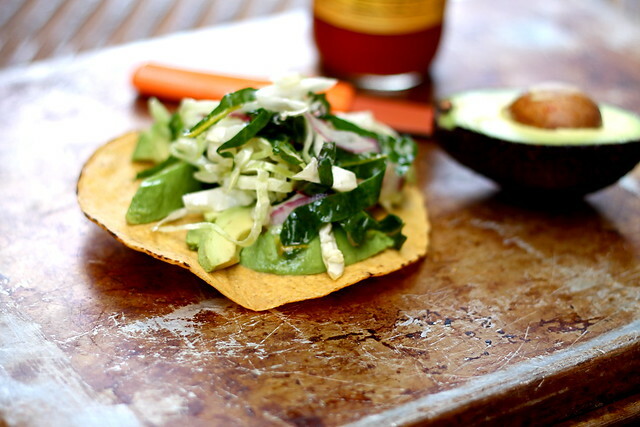 Smash avocado (or lay sliced avocado) on your tostada shell and top with slaw. Yesterday I sat in my spiritual director's office and cried for an hour. I told her I'd been wanting to cry about Oklahoma all week, and then the I-5 bridge collapsed. Yancey and I both cross that bridge several times a week, and we'd been on it Wednesday morning. I won't be scared to cross bridges in the future or scared to drive. But I am thinking about the fragility and unpredictability of life. I'm thinking about the illusion of control I love to nurture and how much comfort I take in my plans. "The unawakened mind tends to make war against the way things are." Things are messy, unclear, unfair. They're unpredictable and often beautiful. Things are sad, violent, and hard. They're also heartbreakingly tender and full of possibility. And the challenge for all of us (especially for my orderly self) is to accept what is. Our home has not been devastated by a tornado, but our commutes to work south of us may be increased by several hours a day for a year until the bridge gets fixed. My spiritual director said, "What if you think of the bridge collapse as the collapse of your ideas about God and yourself that aren't working for you anymore?" I've found I haven't had bandwidth this week for much beyond daily tasks and feeling sad. I haven't felt motivated to blow through my to-do list or start anything new. Instinctively, I knew this week was a "pot of beans" week. When I dumped the pinto beans into a bowl to soak, just the sound of them falling out of the jar was comforting. I know exactly what to do with them, I know my family will be nourished for days, and I know we'll be able to devote our energies to things other than cooking for awhile. 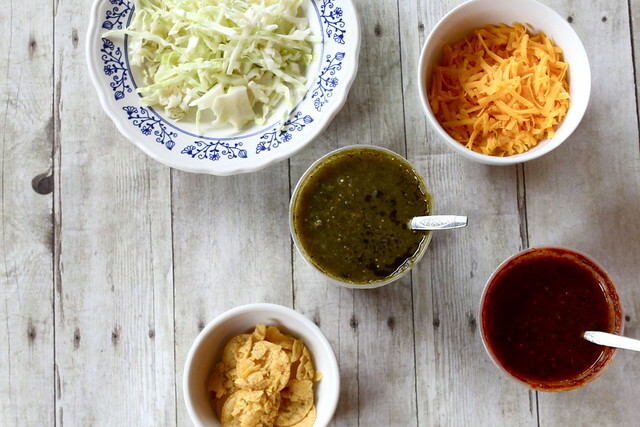 The most common way my family eats beans is pinto beans over rice (or roasted potatoes or corn bread) with condiments--shredded cheese and cabbage, salsa, finely chopped onions and peppers, chopped kale, hot sauce, crushed tortilla chips, sometimes a fried egg . I set all the condiments in the middle of the table, and we each do it our own way. Wyatt mixes his rice and beans together, then adds salsa and sometimes cheese. Loretta keeps her rice and beans separate and puts hoisin sauce on her rice. Yancey and I take a lot of vegetables and keep the whole bowl layered. And we'll eat this for several nights in a row until the beans are gone. My kids have never tired of it. This "recipe" is from Mark Bittman. Since I've never followed any instructions for cooking beans, I didn't trust myself to describe it properly! He gives lots of options for soaking or not soaking, which is the biggest question people seem to have. The reason for soaking is simply to decrease the cooking time. I do it when I've thought ahead. When I haven't thought ahead, I don't soak. Some people say it decreases the flatulence factor of beans, though I can't say I've found that to be true. If your tummy has trouble with beans, there are at least 3 remedies. The first is, don't undercook your beans! They won't taste good and they'll be hard for your body to digest. The second is to eat beans more often. Your body will get used to digesting them. And the 3rd is to take an enzyme like Beano. If you buy your beans in bulk at a co-op or other place where they have high turnover in their dry goods, they will be fresher and will cook more quickly. If you buy them in pre-packaged and labeled bags at the grocery store, they will likely be older and take longer to cook. They don't go bad or taste worse--they are just more hard. Soaking: You can soak your beans overnight if you think of it. Or "quick soak" them by putting the beans in a large pot and covering them with a couple inches of cold water. Bring the beans to a boil and boil for 2 minutes. Cover the pot with a tight-fitting lid and let them soak for 1-2 hours. Or you can not soak them at all. They'll take a bit longer to cook. Cooking. If you've soaked your beans, drain them, and cover again with 2 inches of cold water. Bring the pot to a boil, then adjust the heat so the beans bubble gently. Partially cover and cook, stirring every now and then, checking the beans for doneness every 20 minutes or so, and adding more water as necessary. Small beans might take as little as 30 minutes and older, larger beans up to 90 minutes. Seasoning. Add salt and pepper when the beans are just turning tender. Stop cooking when the beans are done the way you like them and taste and adjust the seasoning. Storing. Here you have a few options. Drain the beans (reserving the liquid separately) to use them as ingredients or salads or other dishes where they need to be dry. Or finish them with one of the ideas below. Or store the beans as is and use with or without the liquid as needed. They will keep in the fridge for days and in the freezer for months. Adding Flavor. You can add a bay leaf, peppercorns, thyme sprigs, parsley leaves and stems, chili powder, or other herbs and spices. You can sauté chopped onion, carrot, celery or garlic until soft and fragrant and add them in. You can add a cup of beer or wine. Or cook your beans with a ham hock, pork chop, beef bone, or sausage. Fish it out after cooking, chop up the meat, and stir it back into the beans. My wok will be 2 years old in April. I am pathetically keeping track, since 2 years is supposed to be the time when an often-used wok is finally seasoned perfectly. Sometimes I get it out, set it on the cooktop, and just look at it. It's getting so wondefully burnished and banged up. And, more importantly, absolutely nothing is sticking to its surface. If I'm making an Asian stir fry, I use vegetable or peanut oil. More and more, though, I'm using olive oil and getting very far away from traditional Asian combinations. The "recipe" here is an example. I've gotten discouraged a couple times when, just when my wok seemed to be developing the longed-for patina, it all disappeared because of enthusiastic vinegar use, wok cooking naiveté, or other mysterious reasons. My admonishment is Keep Going! The only way to really wreck a wok (say that 5 times fast) is to let it get rusty with standing water or to not use it. Continued use, even if it takes you 5 years, will pay off. It's really hard to experience what I'm talking about here if you have an electric cooktop. Woks need raging heat. 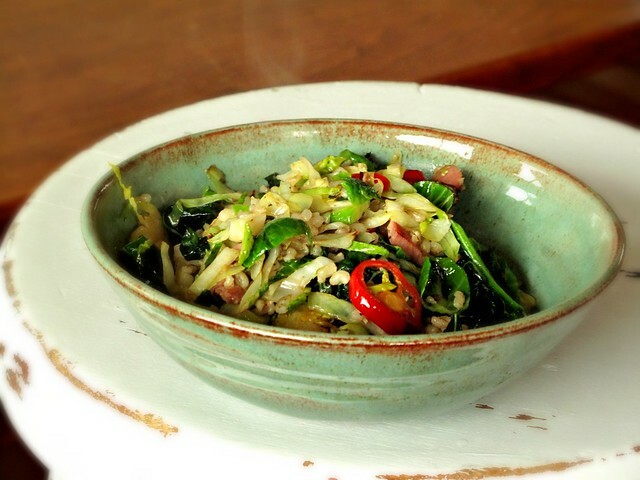 And, wok cooking is a fabulous way to eat more vegetables in one sitting than you ever thought possible. The stir fry here is 80% cabbage, kale and brussel sprouts, with just a handful of cold brown rice thrown in at the end. That description sounds depressing, but it was DELICIOUS. And made my fiber and Vitamin A off-the-charts that day. I'm starting out the new year realizing I've spend most my energy the past six months caring for others, and not enough caring for myself. Sound familiar, anyone? When I do that, carbs (empty ones, of course) somehow taste so good, show up everywhere, and supplant the vegetables my body really wants. I'm trying to change that, and trying again to move as much as possible, even if it's not the 60 minute workout I want. Wokking and Walking. You'll hear more about it in April, I'm sure, when I throw a little birthday party for the blasted thing. Serves 2. (If you want to serve 4 as a meal, you'll have to do this twice, since an over-filled wok just steams everything.) Thinly slice 1/4 head of green cabbage, a few cups of washed kale leaves (stems removed), and a couple handfuls of washed brussel sprouts. Mince 2 cloves of garlic, thinly slice 2 red Fresno peppers (red Jalapenos), and see if there are any stray bits of meat in your fridge. You can use ham, cooked or uncooked chopped bacon, proscuitto, etc. This is optional, but yummy. Heat your wok over high heat for about 15 seconds, then pour 2 Tb. olive oil in. Add garlic, stir, then add veggies. Fry over high heat for about 4 minutes, moving everything around quite a bit, and add kosher salt to taste. When everything's getting crispy/tender, add 2 handfuls of COLD cooked brown rice (or white rice or bulgar or quinoa or barley), fry for another minutes, then add 1 Tb. of white wine vinegar and fry for another minute. 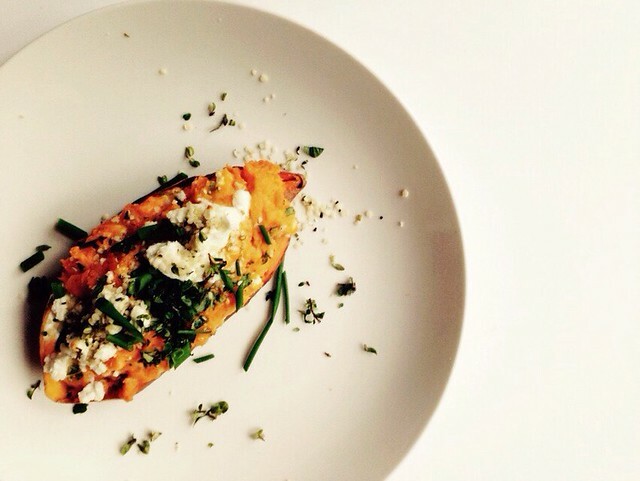 Dump everything into 2 bowls and top with some crumbled feta, if you like. Or a fried egg. A pet peeve of mine is when food bloggers apologize for not writing. Unless they are paid to write (which I am not), the apologies seem very unnecessary. The only way I've been able to sustain this blog is by NOT apologizing and going weeks at a time on the rice and bean regimen. You may think I'm exaggerating: That's a load of crap. She doesn't REALLY feed her family rice and beans for weeks. Go ahead. Ask them. If I were a You-Tuber, I'd get Wyatt up on here to testify. It's true. And I don't feel one bit bad about it. I think I might be getting ready for a little variety, but between work, getting sick, and an overall turn-it-up-a-notch in the MK household, I have been so thankful for my pressure cooker and my rice cooker. God bless those appliances. And my family, who never complain when they see the same thing for the fourth night in a row. If there are any moms out there beating themselves up for not being more creative in the kitchen, I implore you to spend that energy on something else. Your children will be fine. And they might even be learning some important lessons, like, "My Mom has a life, too," or "Our family gets by even when things are pretty boring." Here's yet another variation on rice on beans. I really love yams, and think they're underused even with more press in the last few years. You, dear readers, keep me going in so many ways. Thank you for letting me be my plain old self. Serves 4. Preheat oven to 425. Wash 4 yams and cut them into 1/2" dice. Toss with kosher salt and a couple tablespoons of olive oil. Line a baking sheet with parchment paper, and pour the yams onto the sheet. Bake until soft and blackened in places, about 25 minutes. Meanwhile, warm a few cups of black beans up in a saucepan (canned or ones you've cooked) with a bit of salt, fresh garlic, and a splash of water. Mash a bit at the end if you want. In a small bowl, stir 1/2 c. sour cream with a tablespoon or two of canned chipotles in adobo, finely chopped. 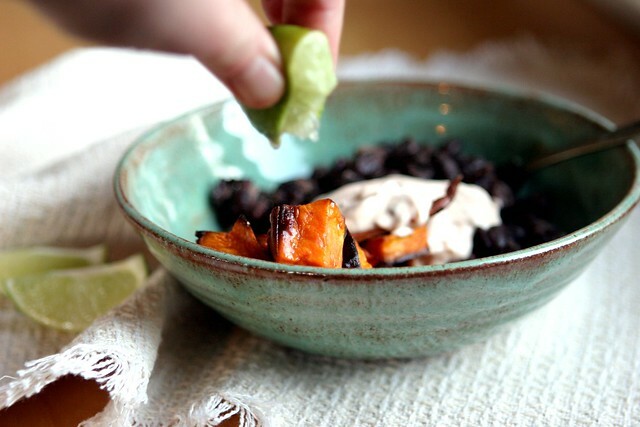 Serve black beans atop yams with a spoonful of chipotle crema and a squeeze of lime. Heat the oven to 425. Chop up a big eggplant into 1/2" pieces and put them on a baking sheet. Add two cans of drained diced tomatoes and 2 cups of drained, cooked chickpeas (from a can or ones you've cooked). Mince 4 or 5 cloves of garlic and chop up a 2"knob of fresh ginger. Add those to the eggplant mixture along with a lot of olive oil, salt, and 1 tablespoon of garam masala. Roast for 20 minutes, stir, and roast for about 20 minutes more, until mixture is crispy on the edges and your whole kitchen is fragrant. Serve with brown rice and chopped cilantro, maybe a dallop of plain yogurt on top. Have a wonderful weekend, favorite readers. P.S. Mango season! Viet Wah on MLK has these beautiful boxes by the front door. We ate half the box in one day, our sink filling up with mango peels. Beautiful sight. This is the kind of lunch that gives leftovers a good name. I'd never open the front door, drop my purse on the floor, hang up the kids'coats, and make this from scratch. (Okay. Maybe I would, but don't have me committed.) But if you happen to have a melange of roasted leeks, onions, and garlic hanging around? Now you're talking. I went on a vegetable binge at the produce stand last weekend. Big fat leeks, gorgeous cheap mushrooms, tight bulbs of garlic. And a bag of onions for good measure. Heaven forbid the Leftoverist should run out of onions. Growing up, our household frequently ran out of toilet paper, dishwashing soap, or orange juice, but never, ever out of onions. I come by it honestly. When I got home from shopping, I literally could not fit my bounty in the fridge so I had to think quick. That's where the rhubarb sauce came from, and that's where this came from. Roasting things saves space like no Ikea storage solution ever could. A few big handfuls of button mushrooms, quartered; thick rings (thoroughly washed) from four big leeks; a whole bulb of garlic, separated into peeled cloves; and a coarsely chopped onion. Pour a bunch of olive oil over everything and lots of kosher salt. Roast at 450 for about 40 minutes until everything is getting crispy and golden. Dump into a tupperware and eat it with everything all week--in the hash below, stuffed into an omelette, tossed with pasta and cream. The best $4 you ever spent (if you're lucky enough to live by a bargain basement produce stand like I do). I used rice as the starch here, but so many other things would work--fried bread cubes, cold pasta, any kind of grain, or even torn-up tortillas. Came home at 4:30 yesterday, cooked dinner for my family, then left again at 5:45 for an evening meeting. For you non-city-dwellers, that's a lot of driving in Seattle. At the worst times. Yancey could have easily fed himself and the kids, and I could have gone out for sushi or tacos by myself. But then I would have missed our chaotic little foursome--kids complaining about vegetables, Loretta spilling her bubble water, and me gushing with news about my iPhone (believe all the good things you hear). Here's the sort of thing I cook on those nights. Some chopping, a tiny bit of cooking, a lot of nourishment. Made possible by a trip to the produce stand last weekend where I stocked up on several random things without a plan. P.S. Loved all your tips and cautions about counting calories. I ran into a reader at the gym this morning. She said, "So, will you be all about diet recipes now?" An emphatic "NO!" My philosophy and style isn't changing, and I don't plan on counting calories forever. It has been very instructive, though, to start recognizing the mindless morsels that end up in my mouth throughout the day. Nothing says community like eight fondue forks crowded around a bubbling pot. I'll talk about the (delicious! easy!) recipe in a minute, but it feels sort of coincidental today. I was with my community this morning. We celebrate MLK Day like some churches celebrate Easter or Christmas. Angela delivers her most rousing sermon of the year. We sing "We Shall Overcome" as many times as we'll tolerate. We have readings from Desmond Tutu, Mahatma Gandhi, The Reverend Martin Luther King Jr., and Audre Lourde. This year, we focused on Haiti, how Dr. King's vision demands that we take care of our brothers and sisters there. Our little church raised thousands of dollars for Partners in Health this morning, and there wasn't a dry eye in the place. I thought about not going. Yancey's working, and sometimes taking two kids to church alone is a nightmare (I can hear an "Amen!" from all you single parents out there). I've felt tired all weekend--tired from work; tired from my rare insomnia. So I almost gave up on the whole church thing when Loretta refused to put her shoes and coat on. She had three time-outs before 9:30 a.m. Finally, I picked her up like a sack of potatoes, buckled her in, and threw her coat and shoes in after her. Not a mountaintop moment, Dr. King. Once there, though, Loretta happily settled in with more loving adults, I knew how horrible it would have been to be alone at the end of a week like this. I must have cried for 90 minutes straight. The last couple years, MLK Day has really undone me. Yes, I'm crying for all the injustice that's still rampant in our world. But I've also found myself totally bereft at the loss of the man himself. I wish he was still alive. I wish he was still inciting us to action; campaigning against the triple evils of racism, militarism, and materialism. I suppose it's up to us now. And here I am, making fondue. My sister and her family came over for dinner tonight. I made the traditional cheese fondue (Gruyere, white wine), but it's this one I keep thinking about. Not temperamental at all, a flavor so comforting you want to take the bowl into your room, hide from your children, and read People magazine. And it's just canned tomatoes (the superhero of non-perishables), regular ol' medium cheddar, a bit of white wine. Happy Martin Luther King Day, friends. Serves four (if you're nice to each other). Taken straight out of my new Gourmet Today cookbook (you know--that light green all of you should own). I suppose you could try this with a sharper (more expensive) cheddar, but I really don't think you need to. The wine, tomatoes, and garlic are enough to make it seem much more extravagant than it actually is. And there are so many other things you can dip--blanched broccoli, roasted cauliflower, boiled little new potatoes. Cook tomatoes and garlic in butter in a 4-quart heavy saucepan over moderately low heat, stirring occasionally, until most of liquid is evaporated, about 5 minutes. Stir together wine and cornstarch in a small bowl, then stir into tomatoes and simmer gently, stirring, 1 minute. Discard garlic. Add Cheddar by handfuls, stirring until completely melted. Serve in a fondue pot set over a flame. I preached at church this morning and feel exhausted afterward. I joked up there that being shy isn't one of my issues (clearly), so I don't think I'm tired from stress. Probably from communicating in the gung-ho way I generally do. Restraint and subtlety have never been my strong suites. And still, eyes droopy, I'm here to talk about food, which is surely a sign of my food-always-on-the-brain disorder. My friend Priya, most loyal In Praise of Leftovers fan, said I should consider NOT posting so many bean recipes in a row. Though I make a living teaching people how to give and receive feedback, I'm going to ignore hers. She's right--BORING!--but this blog goes how my life goes, so you'll have to hang in there. And didn't we just have a week of chocolate? I suppose there are some bloggers who might alternate beans and chocolate like a string of beads, but they are kinder, better people. We ate these falafels 3 nights in a row last week, and they were perfect--crunchy and golden on the outside, fluffy and garlicky inside. One night, wrapped in warm pita. Another, in tortillas cause the pita was gone. And then I made little mini-burgers with them--smashed two falafels on a toasted roll slathered with mayo and some Sambal Oelek, added arugula, mint, and tomato from the garden. Lord, those were good. Then, my sister and her family happened to be here at lunchtime, and I used up the rest for them and promised the recipe. In the early '80's, growing up in Bellingham, there was a falafel and frozen yogurt place our family went to. I have a feeling it was called Mulberry's--is that right, Mom? It was all hippie in there and right about the time it was becoming more mainstream to to eat carob and whole grains. (Thankfully, carob has fallen out of fashion and whole grains have stayed). My mom used to buy falafel mix from the co-op. Does this explain a lot about me? No cream of mushroom soup in my house. Now, I love to go to University Avenue and re-live my college days, perched on a stool in one of those falafel shops, impossibly loud Middle Eastern music in the background. Those are good, but these are better. Adapted from Epicurious. Of course, I used dried chickpeas and soaked them overnight. I can't vouch for how they'd turn out if you use canned ones. I think if you do, just make sure they're not too wet when you add them. Rinse them, then drain really well. Also, you MUST refrigerate your mixture before forming them into balls. They'll fall apart otherwise. I made a double batch of these--that's how we got four meals out of them! One batch makes about 20 fritters. If you're scared of deep-frying, I hear you. These are almost greaseless, though, and pretty hard to screw up. I have a candy thermometer, which I stuck in the oil to make sure it was around 350. If you don't have a thermometer, look for your falafel to sizzle when you throw it in, making a little ring of bubbles around it. They should take about two minutes per side. If they're getting dark before that, it means your oil is too hot. Test one before you do the whole batch. Sprinkle in the baking powder and 4 tablespoons of the flour, and pulse. You want to add enough flour so that the dough forms a small ball and no longer sticks to your hands. Turn into a bowl and refrigerate, covered, for several hours. Heat 3 inches of oil to 375 degrees in a deep pot or wok and fry 1 ball to test. If it falls apart, add a little flour. Then fry about 6 balls at once for a few minutes on each side, or until golden brown. Drain on paper towels. Serve with accompaniments on a platter, or make a salad or sandwiches. We have a Chard Situation developing over here. If I can negotiate a chard-for-oil deal, we won't have to buy gas for seven years. Thankfully, Emily is helping address the excess. For a long time, she came for dinner the second Tuesday of every month. Then summer and other things interfered, and we've been off our routine. We've officially resumed, and now it's every third Tuesday--the same day I bake cakes for Recovery Cafe. Lots of cooking on third Tuesdays. Well, sort of. My rule for having people over (and especially on weeknights) is that we eat like we would if they weren't here. Then we can spend our time talking instead of cooking. When Emily comes over, it really is a regular night--she checks her email, I fold laundry, her and Yancey do the dishes while I give the kids baths. (They like to talk architecture, which is way over my head--I don't think I've mentioned how spatially challenged I am). Em is mostly vegan, so it gives me a little cooking challenge, and we eat better when she's with us. (Did you know that, Em?) Less cheese never killed anyone. Last night I knew we had to do our duty with the chard--at least two pounds per person to avoid our house being engulfed. The rest followed--a pot of white beans cooked up on Monday, some chewy corn tortillas, cherry tomatoes and herbs from the garden. I bought the beans, labeled "Little White Beans," at a produce stand in Central Washington. They were grown and dried on an adjacent farm. Whatever their real name is (maybe that's it? ), they were creamy and delicious. Wyatt had three helpings. And about that chard--I cooked up a big batch for Em to take home (Sheesh. I'm worse than the mystery Zucchini Gifter). Yancey smelled them and said he wanted some for his lunch. Em called right after she got home and said she was standing in her kitchen, eating them with her fingers right out of the yogurt container. I can always count on her when I'm held hostage in Chard Affairs. And tonight, more beans, chard, and brown rice, this time with roasted Hatch chiles and white cheddar. I had to eat 3 Tums directly afterward (I think I ate 5 whole chiles), but it was worth it. Serves 4. This is a dorky fusion-foodish name. I wasn't sure what else to call them. Plus, I like the alliteration--TusCan TaCos. Anyway (yawn--those English majors are boring! ), you can definitely just open a can of beans here. No need to go crazy with all the soaking and *&%. Your canned beans won't be creamy like mine were, but you'll survive. And you can use other greens--spinach, kale, collards--instead of chard. Better yet, come get some from my house. Bring a full gas can and we'll make a trade. For greens: Heat a large skillet on medium heat. Add olive oil and garlic and saute garlic until soft (not browned), about two minutes. Add greens--you may need to do it gradually as they'll likely not all fit in the pan at first. Saute and add salt until they're wilted but still bright green, about five minutes. For tomatoes: Quarter cherry tomatoes and toss with rosemary, salt, and a drizzle of olive oil. 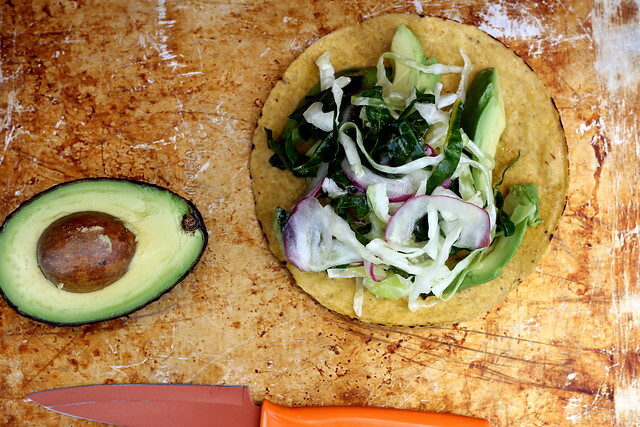 To assemble tacos: Put all toppings in the middle of the table and wrap up little bites of Tuscan heaven. Talk about how much you're saving on your fuel bill. It seems like just yesterday that I was fawning over my tomato starts, compulsively checking their growth and the moisture level in the soil. Then summer happened--kids on the deck "helping" my plants along, vacations when all my plants went unforgivably long without water, the reality of my distracted self. Still, in spite of neglect, I've got tomatoes out there, hanging on to bedraggled stems, bright, splitting orbs in the middle of brown leaves. Here's what to do with those. You'll have to leave your oven on for awhile, but the concentrated tomato flavor is worth it. With the Seattle rain starting in earnest, you won't mind anyway. The longer you cook it, the thicker it will be--thick enough to put on toast with goat cheese or brie. If it's a bit thinner, what a beautiful sauce it makes. Or tangy bath for fried bread. It will be quite seedy, especially if you've got cherry tomatoes. Tomato seeds don't bother me one bit, though. Maybe I should put on my recipe-naming hat and call this "Rustic Roasted Tomato Sauce." I don't want to go down the rustic road, though, because almost everything I make should contain that modifier if I'm being honest. My friend Sue is a brilliant gardener, and when I saw her artfully trellised tomatoes a couple weeks ago, I started planning for next year. I've got a lot to learn. This is Year Four of my vegetable garden. I've gotten a little better, but more than that, I've gotten better at just accepting what it is. A crazy, unkept, terrifically imperfect little plot that reminds me where food really comes from and blesses me with harvest though I feel I don't deserve it. Makes about 4 cups. I cooked mine for around two hours. You can leave it in longer if you want to cook more liquid out of it. Also, though I don't mind seeds, a bunch of tomato skins in your sauce is probably more rustic than you want. I just pick through with my fingers after it's cooked and cooled, pulling out the skins. Many of them have come off naturally and rolled up into little cylinders. For ones that are still stuck to tomatoes, they will pull off really easily. OR you can plop all your fresh tomatoes in boiling water for one minute before roasting them. This will loosen the skins and you can peel them before putting them in the oven. Combine everything in a 9 x 13 pan and bake at 350 for 1 1/2 to 3 hours. Serves 4. Here's how we ate our sauce last night. !!!!! It went down way too easy. You don't smother the gnocchi in sauce-just enough to coat all of it lightly. Combine parmesan, lemon zest, fresh herbs, aleppo, and salt in small bowl. Cook gnocchi according to directions--mine took 3 minutes. Drain, then toss with warm tomato sauce. Divide into bowl, top with a generous sprinkle of parmesan mixture. We've eaten our share of grilled eggplant this summer. I love to grill a bunch of fat, spongy rounds, then stick them in the fridge to use when the Leftoverist Spirit strikes. Eggplant is one of those inhospitable foods. It doesn't say "Enjoy!" like a crisp apple or ripe tomato. Aside from its its stunning color, it pretty much says, "Stay away!" What the hell do you do with these things, anyway? I think so many people have eaten it underdone or oily that it's given the poor thing a bad name. Also, they're not cheap in the grocery store, so you don't want to spring for one, try your hand at preparing it, then end up gagging. That doesn't sound fun. I buy mine at MacPhersons, where they generally run around $1 or $1.50 each. That's a lot of food for 100 cents, even if it is inhospitable. This eggplant was grilled for an orzo salad with feta and hazelnuts that I served last weekend. With more of that half gallon of cream (I can't decide if this particular leftover is fortunate or not) and tons of eggs, it made the creamiest, most custardy frittata with a wonderful smokiness. I know there's lots of folks that are anti-nonstick, but nonstick skillet really saves you here. You could also use a well-seasoned cast iron pan, but it doesn't have the sloping sides that make it easier to remove your perfect wedges. You can use cream, half-and-half, or milk--cream produces the best flavor and texture, of course, but you will die earlier. It's important to cook it over low heat--if you turn it up, it will be too brown or burnt on bottom and the eggs will be tough. If you're looking for something super quick, scramble eggs instead. Whatever veggies I saute first (onions, very thinly sliced raw potato, rounds of cooked potato, squash, greens, etc.) I leave there and just pour the eggs over the top. The first layer of veggies forms a nice barrier for the cooking eggs so they don't get too tough on bottom. The layer over the eggs is whatever cheese I have on hand (sometimes a lot, sometimes a little), usually some fresh herbs, sometimes little olives, diced peppers, cherry tomatoes. I pay attention to color here. I cook the frittata on the burner until it's almost done--the center is still a little wiggly. Then I put it into a preheated 400 degree oven for the last 5 or 10 minutes. This browns it and helps it puff up. BE VERY CAREFUL when you remove it from the oven. That handle will be so stinking hot. I've gotten so many burns on my forearm this way. I'm sure you will be less distracted and more careful than I usually am....right? I often use stale bread as a base for a frittata. Cut it into cubes and saute it in olive oil. Pour your egg mixture over the top of this, and you have a kind of stovetop savory bread pudding. Whew. Tutorials (and this isn't even one) wear me out, I've noticed. I'm glad there are bloggers out there who go to the trouble to teach things in a step-by-step way. That's not my calling in life. Basically, you just have to hang around me long enough, and eventually you might learn something. Sorry. I would never grill eggplant just to put into a frittata, but I'm not against it. Just lazy. Some other uses for grilled eggplant, should you attempt it: on sandwiches, hot or cold; tossed with pasta, cream, fresh herbs, and a little tomato paste; chopped and sprinkled on pizza or smashed and used as a pizza base; in a galette; in pita bread with feta and some tahini yogurt sauce. I'm still having so much fun being here with you. Thank you for your comments, emails, good questions, and incredible word-of-mouth marketing. When Jordan moved to NYC, I said, "Awesome! You're like a virus! Now everyone will know about In Praise of Leftovers." Ridiculous. And true. Obviously, feel free to make substitutions here based on the all the above rambling. If you don't use potatoes, saute an onion instead. You can halve this recipe and use a smaller 10" nonstick, too. For eggplant: Prepare BBQ (medium-high heat). Brush eggplant rounds with olive oil and salt. Cook until charred and softened, turning occasionally, about 6 minutes. Set aside. When cool, roughly chop. For frittata: Preheat oven to 400. Put a tablespoon of olive oil into a large 12" nonstick skillet and heat on medium-low. If you're using cooked potatoes, just line the bottom of the pan with them. If you're using raw potatoes, saute them until they are very nearly cooked, about 10 minutes. They need to be THIN for this to work. Beat the eggs and cream with some salt and pepper, and pour this mixture over the potatoes. Drop the eggplant in, spreading around evenly. Turn the heat down to low, and let it cook slowly for at least 20 minutes. You can put a lid on it if you want. Sprinkle with cheese and fresh herbs, and chile and cook for a couple more minutes. Transfer to the preheated oven and cook for about 10 minutes until frittata is golden and puffed. Let rest 10 minutes before slicing. Can be served at any temperature, but my favorite is room temperature. I just leave it sitting on the counter. Mercifully, the heat wave of two weeks ago is a distant memory. I've heard so many Seattle folks praise the rain and grayness lately. We are funny. As much as weather is cliche small talk, it makes sense why we're always returning to it. We are all subject to the same thing, and none of us can change it. During one of the hot days, our family went swimming at a dirty public beach on Lake Washington--dead fish floating belly up, algae galore, God knows how many toddlers peeing in the shallows. What I liked about it, though, was that we were all in it together. Rich, poor, black, white, and otherwise, we were all trying to cool off. Not one of us, no matter how much authority, power, or money, could lower the temperature even one degree. I wasn't waxing poetic about the weather yesterday morning, though, when it was pouring and the roofing team was coming to finish the job we couldn't. The rain stopped, though, they came (may the Universe bless them unspeakably), and the project is finished. And we celebrated with bowls of lentils since every penny we own is now above our heads. If some eaters are Separatists (meat can't touch potatoes, potatoes can't touch the salad, etc. ), I am an Integrationist. I like lots of layers in my food. This tendency helps to make my various versions of rice and beans a lot more interesting and suitable for eating several nights in a row. To that end, there are many possible condiments here. If you come up any novel ones, let us know! It's been a tiring week, but it's well with my soul. I have a couple small consulting jobs in the hopper, my loved ones are healthy, we're protected from the elements, and I'm still finding solace in the kitchen with you. Thank you for reading. I got the idea of putting tamarind in lentils from Madhur Jaffrey, the famed Indian cook. I had a cake of tamarind pulp in my fridge (I'm weird like that), but you could use tamarind concentrate (available at Asian markets in a little tub) or just substitute lime juice to give it sourness. This makes a lot--I always figure if I'm going to the trouble to cook beans, I might as well go for it. You could halve it, though. Rinse lentils really well. Put in a large stockpot and cover with 2" of water and add a couple teaspoons of salt. Bring to a boil, then reduce to a simmer and cook until tender, 35-40 minutes. Add more water as necessary--sometimes lentils soak up a lot of water fast, and it's better that you have to dump some water out in the end than burn them. In a skillet, heat vegetable oil. Add garlic, chile flakes, bay leaf, cumin seeds, turmeric, and mustard seeds. Fry for a minute or two until mustard seeds pop. Add the mixture to the cooked lentils. Add the tamarind pulp, and simmer the whole thing for at least 10 minutes more. Take a potato masher and mash up a few of them in the pot so they're thick. Add more salt, pepper, tamarind (or lime juice), or chile flakes to taste. Last night, I made a delicious little condiment with Thai green chiles, chopped fresh mint, salt, a little sugar, and a squeeze of lime juice. Yancey and I fought over it. I also made a fried tomato chutney-type thing. I had some Yakima beefsteak tomatoes that looked good at the produce stand, but when I cut into them, they were too hard. What to do?! (Besides curse). I chopped them up. Then I heated some olive oil in a skillet and threw some mustard seeds in there. After a minute, I put the tomatoes in and let it fry for just a couple minutes. I dumped everything in a bowl and added lots of salt. They were delicious and saucy. Just got home from seeing Julie and Julia with Jordan, Sue, and Priya. Everyone at Columbia City Theater howled with laughter at all the right parts, and Meryl Streep was luminous. No deep lessons about life, but a beautiful portrait of two women coming alive, finding their vocations in a world that wants us to settle for less. I'm sure I'm not the only food blogger writing about this tonight. Grace joined us at Verve for a glass of wine (all the wine quaffing in the movie made us crave some) then we drove all the way up to Capitol Hill for ice cream at Molly Moon. We were the last ones in before they locked the door. Do not mess with five women coming from a food movie who are craving salted caramel ice cream. Please don't expect me to master all 524 recipes in Mastering the Art of French Cooking, though. This blog should be called Mastering the Art of Throwing a Bunch of Random Stuff Together and Giving it an Appetizing Name. I own a paperback of Julia Child's manifesto (bought it a garage sale in college) but I don't recall ever using it. Is that sacrilege? I know that part of my fascination with food has at least something to do with Julia Child and her influence on American home cooks. I'm sure of it. But she cooks with a lot of precision (and an awful lot of offal), and I definitely do not have time to debone a duck or poach a perfect egg when my toddler wanted dinner a half hour ago. Amen? I've been mastering the (art?) of dried beans for years, and here's another version for you. Yesterday was a get-it-together-after-vacation day--laundry, grocery shopping, list-making. In the morning, I put these beans on the back of the stove and they simmered happily there for half the day. I had leftover polenta from my late-night dinner and some Sungold tomatoes from the garden. You can definitely eat these beans in other ways (with BBQ, with rice) and this combo would be delicious with a fried egg on top. You may see a photo of that here tomorrow. This blog could also be called Mastering the Art of Eating Virtually the Same Thing all Week and Calling it Something Else. I always soak my beans to reduce cooking time, but you don't need to do that. Just count on more stovetop time. I didn't do these in a slow cooker because I wanted the bacon and onions to brown. You could brown them on the stove, though, then add them and everything else to a crockpot. Cooking times for beans are always approximate--there's no surefire way to tell they're done except tasting them to make sure they're tender. This recipe makes a lot. If you don't want to eat them 4 nights in a row or you live alone, you should probably halve it. And don't be afraid to throw lots of salt in these! They won't taste good otherwise. And before you vegetarians hate on me, you can definitely make these without the bacon. The fried onions will give them a nice smoky flavor. In a large, heavy stockpot, saute onion in oil until beginning to brown, about 5 minutes. Add bacon and cook on medium until bacon is crisping up. Add beer to deglaze pan. Add beans, a few pinches of salt, and enough water to cover by about 2". Bring to a boil, then simmer for about an hour. Beans won't be tender yet. After an hour, add ketchup, tapatio, and pureed tomatoes. Simmer until tender, about an hour more. Salt and pepper to taste, and add more spicy stuff to taste. From Christopher Kimball's Kitchen Detective. The polenta in my photo has been cooled, cut into wedges, and thrown in the grill pan. You can do that, or you can serve these beans over soft polenta. Bring water to a boil in a medium saucepan. Add the salt, then gradually add the cornmeal while stirring with a wooden spoon. Reduce the heat to maintain a simmer, stirring constantly. The polenta should be smooth, and large bubbles will pop on the surface. Cook until very thick but not stiff, 5-7 minutes. Off heat, add the butter, cheese, and pepper to taste. Serve immediately. If you want firmer polenta for grilling or frying, spread the hot polenta into a square baking pan or pie pan. Put in the fridge until it cools and firms up, about 30 minutes. Cut into squares, triangles, or wedges, brush with oil, and grill. Or gently fry them in olive oil or butter in a skillet. Take a 2 handfuls of cherry tomatoes. Halve them, and gently toss with 1 clove minced garlic, a few tablespoons of chopped fresh cilantro, a finely diced and seeded serrano chile, a squeeze of lime juice, and a drizzle of olive oil. To assemble: In a pasta bowl, ladle some beans. Arrange 3 slices grilled polenta on top, and spoon some salsa. If you're using soft polenta, put that in first, top with beans, then salsa.